Design your own vanity license plate here. Include your favorite color as a background or upload an image. You choose the text size, font and content. Personalize front license plates for the whole family! Get a stylish and noticeable plate to show off during all those miles on the road. The front of your vehicle never looked so good. Makes a great gift for a friend or fun way to celebrate buying a new car! Not sure what you want on your personalized vanity plate? 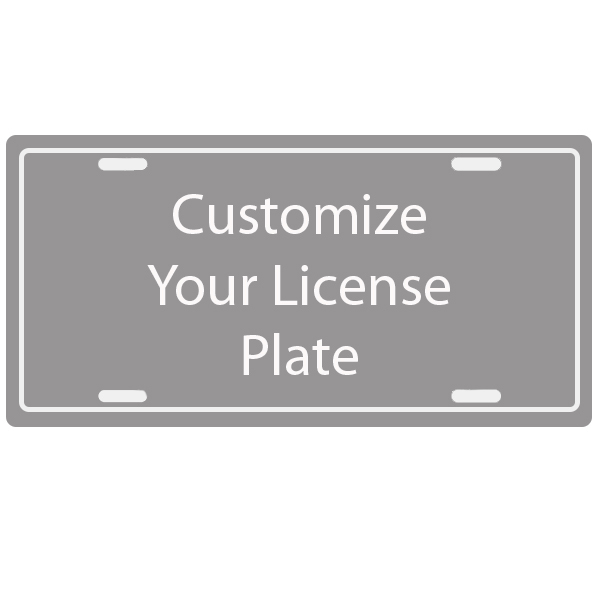 Get some inspiration for your favorite new car accessory by checking out the our custom license plate ideas!